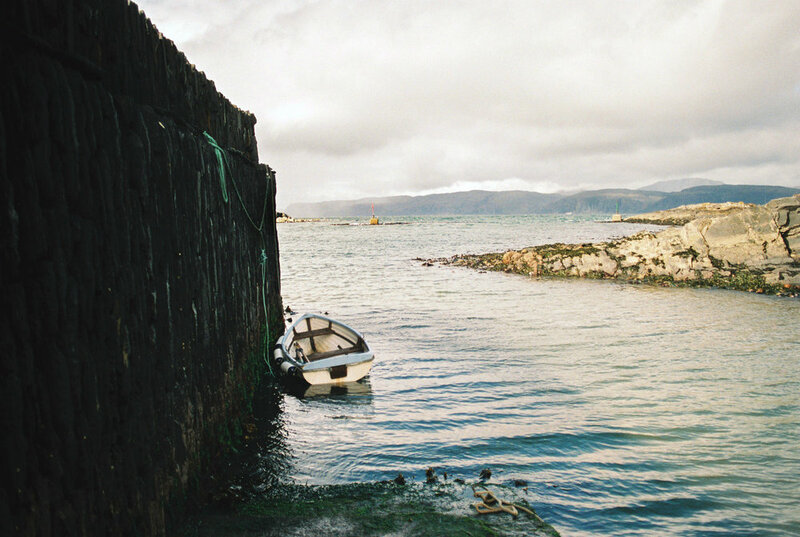 Off the west coast of Scotland lies Easdale, the smallest permanently inhabited island among Scotland's Inner Hebrides where only roughly 60 people are lucky enough to call it 'home'. There are no cars on Easdale; no Tesco or even a newsagent if you run out of milk. Dogs zig zag around your legs as you walk between the blackberry shrubs, proudly showing off their kingdom with their owners nowhere to be seen (fair enough, where are they going to run away to?). You're never quite sure if you're walking on a path or into somebody's garden, though I don't think anyone would mind much either way. Atop its highest (and only) peak of 125 feet you can look out to its Inner Hebridean friends Mull and Luing, while down at sea level at the heart of the island sits The Puffer, half tearoom and half pub, a cosy space for locals and visitors to relax and refuel after a day of ferry runs (if you're picturing a CalMac you are substantially mistaken), boat tours and seaweed foraging. Simple island life comes with its complications of course - with no shops available their food is delivered in bulk for the entire island. However, some ingredients can be sourced directly from the island itself, and in this case by one of Easdale's 60 residents, marine biologist Duncan Smallman of Slate Island Seaweeds. Nature humbly hands us gifts every single day and in our rapidly busying lives, so many of them go unnoticed. Duncan devotes his time to looking for these treasures on Easdale's coastline so that they can be shared with people on the island and beyond (he forages for top Scottish restaurant Inver, situated on the mainland but as remote and worth the trip as Easdale). As the tide lowers it reveals the red, green and brown algae decorating the shore. 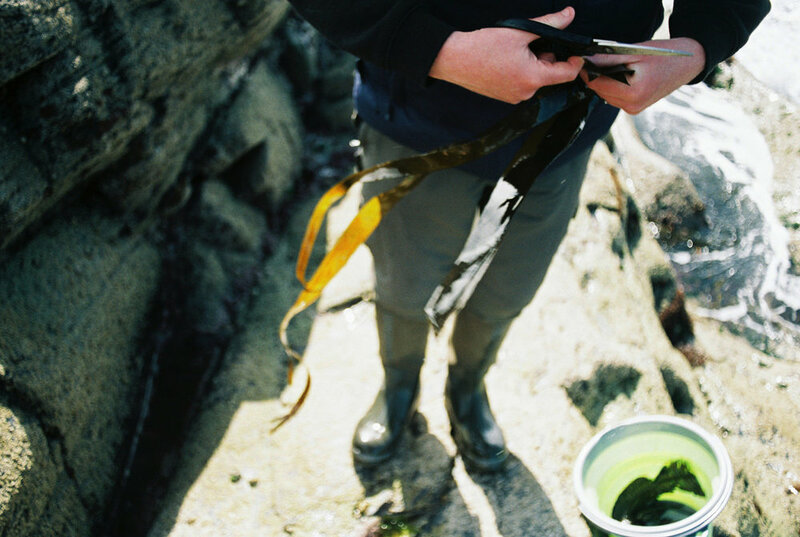 Translucent green ribbons ripple in the wind as they're picked from beneath the crashing waves while clinging to the rocks is peppered dulse, a red algae with a burst of flavour so overwhelming you'd be forgiven for thinking that Duncan has a secret pouch of seasoning in his pocket. So remote and removed from the cities polluted by increasingly indecipherable noise and consumerism, in Easdale everything is considered, harbouring a haven for simple beauty and the necessities of life; fresh air in your lungs, good company, "Fish and Chips Night" at The Puffer. The island's charm washes over you before you set unsteady foot on the ferry, and stays with you long after you ground yourself back onto the mainland. Isolated but not isolating, I'm hard pressed to think of a kinder, more welcoming community I've ever come across. We could all benefit from spending more time picking seaweed from the shores of places like Easdale Island.